BloomInLight is the complete indoor gardening system - combining height-adjustable, tiltable grow lights with a waist-high watertight growing tray/drain and automatic timer into one easy to use package. 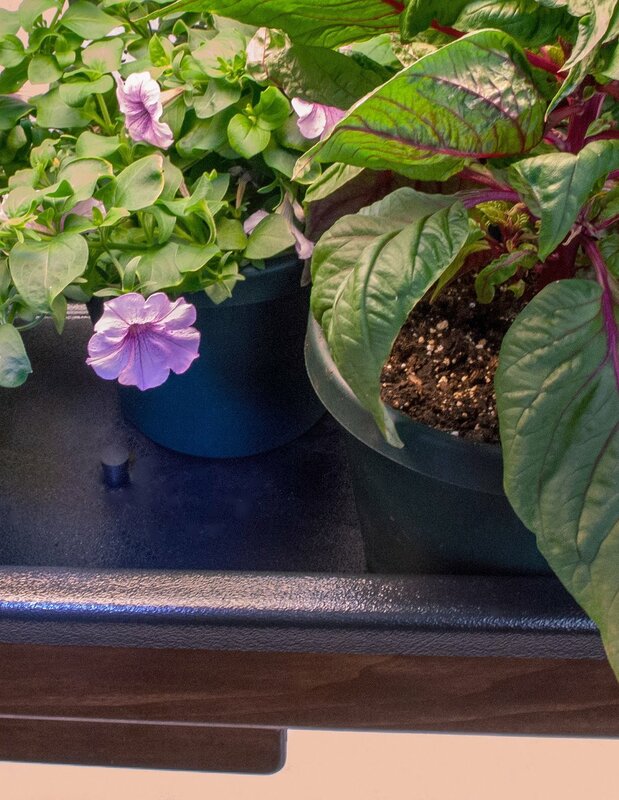 It takes high intensity lights to grow healthy 'outdoor' garden plants from seed indoors. 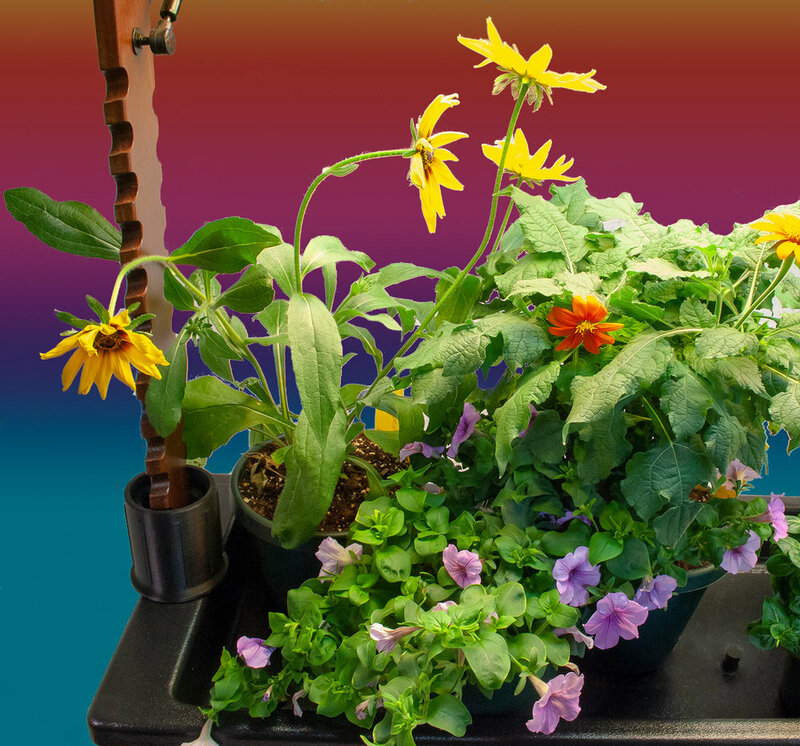 Your BloomInLight comes with a bank of high output T5 horticultural lamps with both "warm" and "cool" tubes in the right balance to take your plants from seed to bloom. Independent switches let you turn some of the bulbs off if desired. Raise and lower the light hood with a simple twist to adjust the distance between your plants and the lights. Tilt the light hood up and out of the way for easy plant care, with gas springs for fingertip control. How's this for attention to detail? The hood pivot is located at the rear of the BloomInLight - this protects your plants from crushing compared to a center pivot and gives you better access for watering and plant care. Your BloomInLight includes a remote timer that gives you easy control of your lights from anywhere in the room. Set it to automatically turn the lights on and off at the same time each day or explore advanced features like simulating sunrise and sunset any time of the year. Flip a switch for manual on/off control whenever you need it. The durable water-tight plastic liner tray keeps your indoor garden neat and your living area dry. The center drain empties into a convenient water collection drawer, making watering worry-free. The drawer slides out easily for emptying. Use the included drip stopper to keep things tidy while you empty the water. Arrives fully assembled - no tools needed! Thanks to our thoughtful design, your BloomInLight arrives fully assembled and ready to use. Just plug it in, set the timer, and GROW!